Fantasy, Dream, Dragon, island, purple, sun, night, ocean. Sana Zee is willing to sell this fantastic piece of art. 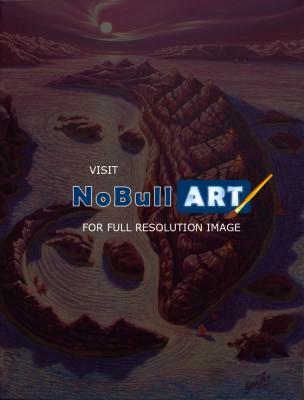 The NoBullART Art Gallery currently features 3,135 artists, 43,012 pieces of artwork on display, and 15,711 pieces of artwork for sale.